INALLIANCE would like to take this moment to recognize Resmi Singh for her community contribution. Resmi is a volunteer courtesy guide for Kiaser Permanente. She helps visitors navigate the maze of hallways and floors to easily find their Doctors and loved ones. Resmi was recently honored with an award of excellence from Kaiser for her spirit and dedication. Resmi works part-time for the California Autistic Self Advocates, but on her days off she volunteers. 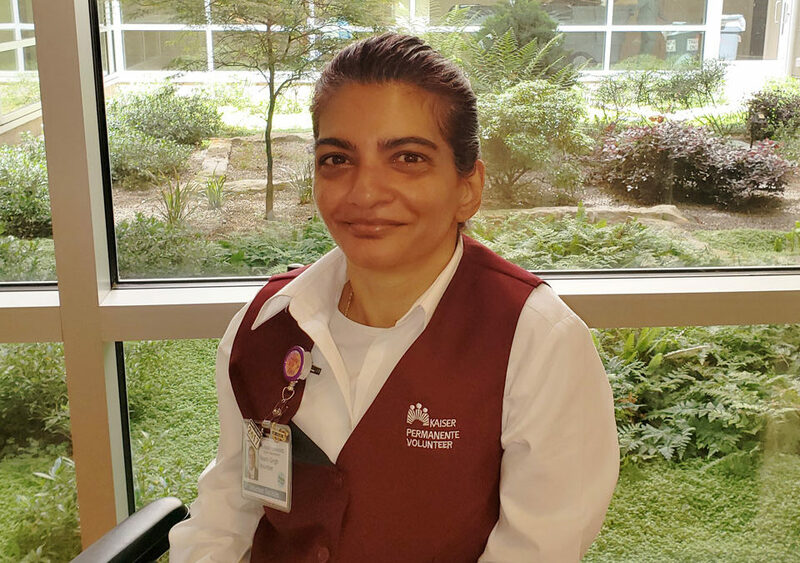 Resmi says, “it’s good to volunteer somewhere… as you may not know how important it is until you’re there”. Thank you for giving back, Resmi! You’re a role model for so many of us here.